It’s summer!! You only need 4 ingredients to change up your traditional cocktail of choice and sip on a refreshing Vodka and Elderflower Lemonade. Summer is here and that means it’s time to relax and sip cocktails on the patio with friends. 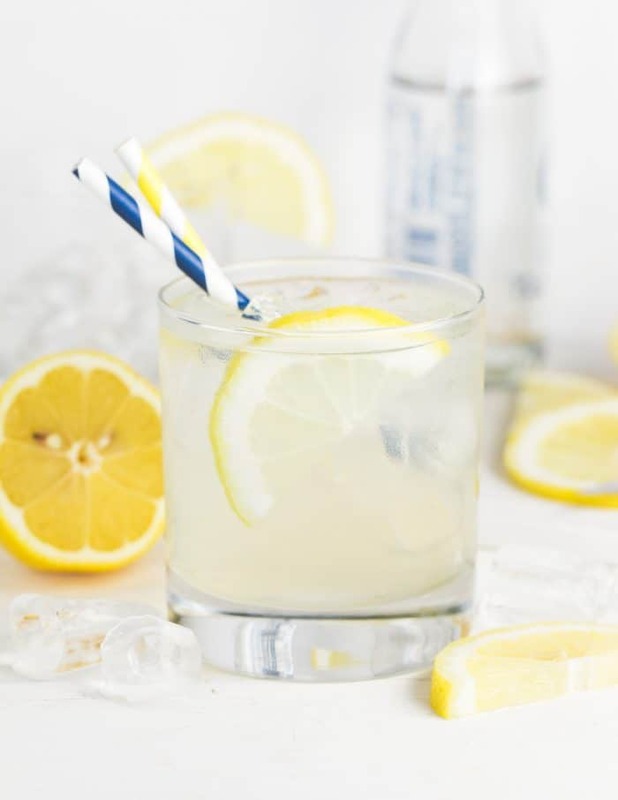 Batch cocktails always make entertaining easy and one of our favorites is this delicious Vodka and Elderflower Lemonade. Now it’s no secret that we are big fans of elderflower liqueur. In fact, our most popular drinks on Garnish with Lemon include elderflower liqueur like this Elderflower Martini and this Gin, Elderflower and Prosecco Cocktail. If you haven’t jumped on the elderflower bandwagon yet, it seriously needs to be in your shopping cart the next time you go to the liquor store. And since we have many tasty ways for you to enjoy it, your worries about using the whole bottle have just disappeared! 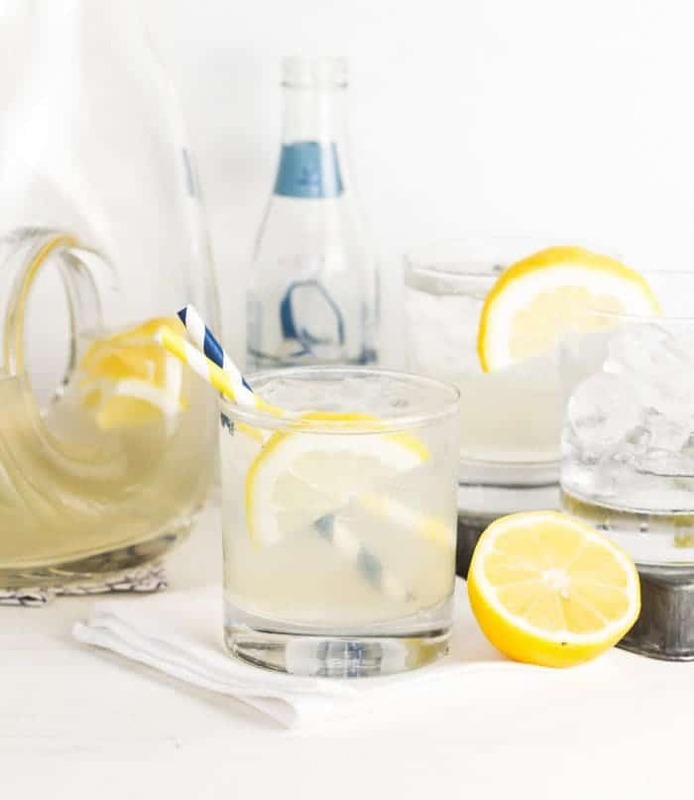 Elderflower liqueur adds just enough flavor to take a classic vodka lemonade and turn it into a fancy drink. Fancy drinks that are easy and people can serve themselves? What more could a girl ask for? Tip: Splurge on some fresh squeezed lemonade at your grocery store. When you only have four ingredients in a drink, only use the best as it definitely makes a difference. Looking for more delicious cocktails? Here are some of our favorites that use elderflower liqueur. A refreshing twist on a classic cocktail. Elderflower has quickly become a favorite in our house! Glad to find someone else who shares my love for it! I’ve never tried Elderflower before, I think is’s time to change that! This is perfect for these warm summer days! I have never used Elderflower, I look forward to trying it. I will definitely be enjoying this on the weekend! Thank you! Thanks, Dan! It’s one of our favorites! Do you use sweetened lemonade? 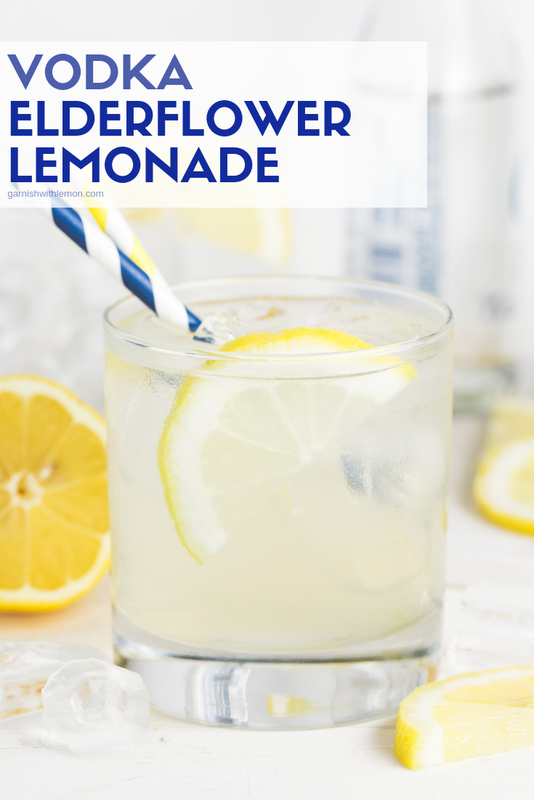 I use a sweetened lemonade, but try and find one that isn’t too sweet! This is so tasty and I love the video! I like to make this cocktail by boiling water in a kettle., pour into a 32 oz pitcher, add 2 lemons quartered. 1 cup of sugar, 1 tsp salt —stir and let cool. The lemonade should have a salty sweet flavor. Then when you’re ready to make the cocktail…pour 4oz, of lemonade, 1 oz white rum, and 1 oz st. Germain, into a glass and stir well with a little ice. Add a mint sprig for garnish or lemon if you prefer . It’s a beautiful refreshing drink for summer.